STAMFORD, Conn., April 11, 2018 /PRNewswire/ — Global automobile residual value forecaster and insurance leader, RVI Group, is pleased to announce its strategic partnership with MK&A, a Stamford, CT based global automotive strategy consultancy. Maryann Keller, principal of MK&A, is a highly respected and well-known analyst, and a former/current director of several publicly traded automotive companies. MK&A is partnering with RVI to develop subscription-based analytics for capital markets firms with automotive-related investments. The new services will be offered by Stamford-based RVI Analytics, a division of RVI Group. The privately held RVI Group provides the automotive industry with residual value insurance products and analytical services. 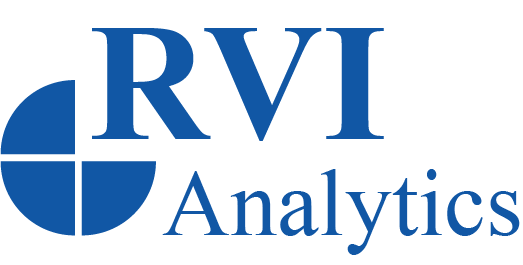 The new subscription offerings will build upon RVI’s core analytical product, the RVI Used Vehicle Price Index, used to insure billions in residual values for passenger vehicles, and expand the analyses and report types available for subscribers. Subscriptions will be launched in July of 2018. Leading the sales efforts for RVI Analytics is recent hire, Joe Halovanic. Joe brings to RVI a wealth of relevant auto residual risk management experiences, having worked for banks and captive finance arms of auto manufacturers, including Toyota Financial, Ally and U.S. Bank. RVI Group is the world’s leading provider of residual value insurance. For over 28 years, RVI’s solutions have brought financial, regulatory and accounting benefits to clients who are active worldwide in leasing, asset-based finance, and asset securitization. For more information, please visit www.rvigroup.com. MK&A is a U.S.-based automotive consultancy founded by Maryann Keller, current Principal of MK&A and one of the automotive industry’s most respected and well-known analysts. MK&A provides automotive-related advisory services to investors, companies, and professional firms. For more information, please visit www.maryannkeller.com.